Can we attribute the fascinating stone structures found at ancient sites such as Machu Picchu, Ollantaytambo, Sacsayhuaman, Tiahuanaco and Puma Punku to and advanced ‘mother civilization’ that existed in South America prior to the rise of some of the most prominent ancient cultures of the Americas? Is it possible that before the rise of the ancient Inca, a technologically advanced civilization existed in modern-day Peru? Is it possible that prior to the rise of the ancient Inca, a technologically advanced civilization existed in modern-day Peru? What if before the Inca’s, a superior civilization that possessed incredible technologies inhabited the region and erected some of the most amazing ancient stone structures we have ever found in South America? What if thousands of years before the rise of some of the most prominent civilizations of the Americas, a mother culture existed in the region that possessed a now-lost technology that ultimately allowed them to soften stone, creating some of the most fascinating ancient structures on the planet? While there are many fascinating –and inexplicable— ancient sites on the surface of our planet, we have to mention Ollantaytambo, Puma Punku, Sacsayhuaman and Machu Picchu because these sites display evidence of a technology that has been lost in modern times. 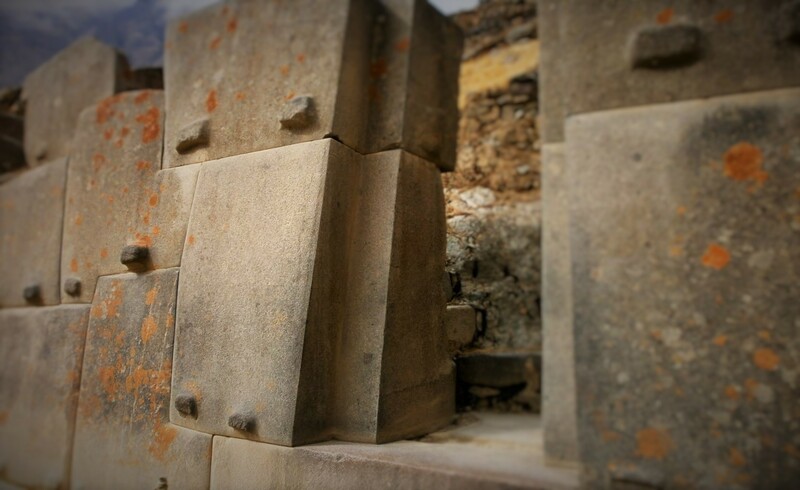 Incredible ancient engineering skills found at Ollantaytambo. These four ancient sites show fascinating traces of building methods that mainstream scholars cannot understand. Interestingly, at all four ancient sites, ancient cultures managed –somehow— to perfectly quarry, transport and place into position huge blocks of stone weighing hundreds of tons. In fact, these stones are so heavy that modern-day machinery would hardly be able to move and place the stones. The obvious questin here is: How did the ancients do it? Is it possible that prior to the arrival of the Inca, and Tiahuanaco culture, an advanced civilization inhabited the area, placing the foundations of some of the most incredible ancient sites of South America? Compared in magnitude to other ancient sites of South America, the ancient citadel of Sacsayhuaman is believed to hold the secrets of an ancient civilization that predates the ancient Inca. This ancient megalithic site dates back several millennia and is considered as one of the oldest ancient establishments in South America. The builders of this fascinating ancient citadel managed –somehow— to precisely cut blocks of stone creating massive, megalithic walls that have challenged our modern-day builders in many ways. On some of the stones at Sacsayhuaman, we see curious marks that suggest as if the stones were somehow dissolved. You have these massive blocks of stone from 50 to 100 tons cut and shaped almost perfectly, and they are placed so tightly that you cannot fit even a piece of paper in between them. 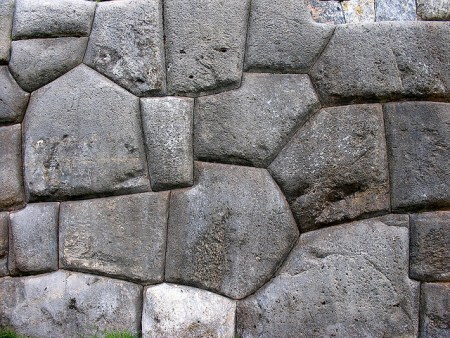 Even more fascinating is the fact that some of the stones found at Sacsayhuaman –but other ancient sites as well— have ‘telltale signs’ that are indicative as if massive amounts of thermal heat were applied onto them which allowed the ancient builders to mold huge blocks of stone into place. Interestingly, at numerous ancient sites among them Puma Punku, Tiahuanaco, Sacsayhuaman, Ollantaytambo and Machu Picchu, we have countless walls that are composed of rocks of different sizes, yet somehow, inexplicably, all of the rocks fit together in such a way that not a single piece of paper can fit between them. It doesn’t matter whether we look at Sacsayhuaman, Ollantaytambo, Machu Picchu or Puma Punku, all of these ancient sites display fascinating features that cannot be replicated by modern construction workers. 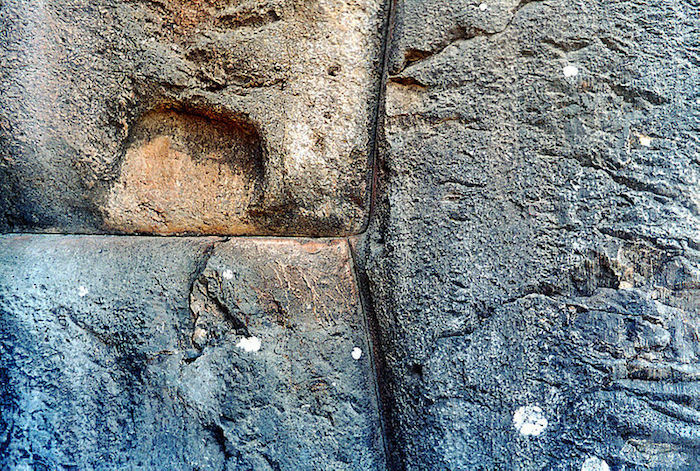 Sacsayhuaman: Incredible details as seen in other ancient sites such as Ollantaytambo, Machu Picchu. Located in southern Peru, around 60 kilometers from modern-day Cuzco we find the archaeological site of Ollantaytambo. Nestled in a region labeled by the ancient Inca as the Sacred Valley, this fascinating ancient megalithic site is a marvel of ancient engineering. Mainstream historians claim Ollantaytambo was built around 1440 AD by the Inca Emperor Pachacuti. However, some archaeologists today believe Ollantaytambo was built upon the ruins of a far older city. This majestic ancient complex can be compared in greatness to the Pyramids located at the Giza plateau, Puma Punku, Machu Picchu, Teotihuacan and Sacsayhuaman. Just as with the above mentioned ancient sites, somehow, the builders of Ollantaytambo managed to quarry, cut, transport and place into position blocks of stone that weigh over 50 tons. The question that no one has been able to answer is… how did the ancient achieve all of this? If you take in count that some of these sites are believed to be over 10,000 years old… you have to ask yourself what did ancient mankind know back then something that we are missing today? So the question I ask here is this: Is it possible that ancient mankind possessed, thousands of years ago, some sort of technology that allowed them to quarry, shape, transport and put into place huge blocks of stone which constitute some of the most incredible ancient sites on our planet?